Vastu shastra is not only a spiritual system but also a scientific design system that evolved in India between 6,000 - 3,000 BC. Vastu means energy, and Vaastu is the matter created when that energy takes form including the space that fills the form. Vastu tools and devices can affect the flow and function of energy and spaces. Vastu philosophy is similar to feng shui. It's a science based on the theory of five elements and 10 directions; the eight compass directions plus the directions of heaven and earth. When all of these elements come together, it creates a harmonic balance of electric magnetic energy. This energy is believed to bring positive results such as good health, great wealth, and long-lasting prosperity. The design aspect of Vastu is based on three simple design principles. By keeping these in the forefront of planning, you can be assured of a good Vastu design. Vastu and feng shui are both based on the five elements of nature and their energies. Vastu utilizes more mathematics in its principles than feng shui. This architectural science focuses on directions, solar energies, and cosmic energies. For example, a home should be sited to an orientation that will reap the maximum benefits of solar energy and cosmic influences. In Vastu, the Northeast corner of a building serves as the receiver of cosmic energy, meaning the energy the earth receives from planets instead of the sun. Like feng shui, Vastu can help you reap the benefits of a positive energy flow throughout your home and avoid the negative effects of improper placement as well as natural interferences with the energy of your surroundings. 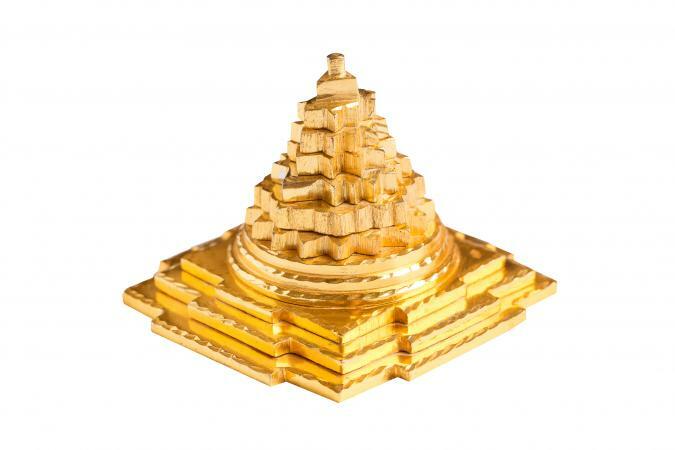 The use of pyramids to energize buildings is a common practice in Vastu. The energy collects in the upper portion go of the pyramid (conical point). As this energy builds at the top, it begins to seep down the sides and eventually fills the entire structure. It's believed that the pyramid's energy generates from the pyramid's four sides and can even penetrate underneath the ground. You can use any size of a pyramid you want. Pyramid energy systems are used not only in architecture but also to treat human diseases. Water kept in a pyramid is said to have restorative digestive powers as well as healing properties when used on wounds and cuts. Using a compass can help you obtain good health, prosperity, and happiness. A compass can verify that you've placed your home and other objects in the most advantageous positions. Most Vastu compasses come in a kit that includes eight charts which can be use in any room and any dwelling or business. Once you've selected the chart you wish to use and the room you want to address, you'll want to place the chart and compass either on the floor, table, or some other level surface. When the compass stops moving and is pointing north, shift the chart beneath the compass so the red line (north) matches north on the chart. Energy plates come in various colors with an array of symbols specific to the need and purpose. Plates are often placed in one corner of a room. The rooms used in your home are typically the living room and bedrooms. Areas such as bathrooms, kitchens, laundry room, etc. are not considered important enough for energizing separately since they fall into the overall pyramid energy grid created using only the main rooms of your home. A cement layer is traditionally placed over the plates before the tile or wood flooring is laid. 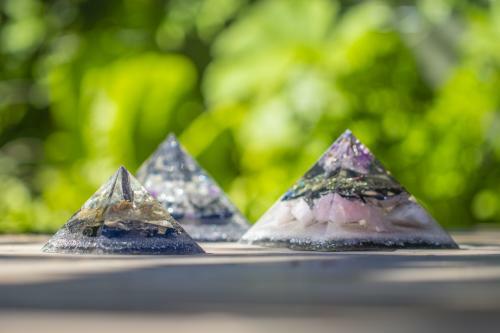 By positioning these with one to a room, you can create a pyramid energy field. Another common use is for martial health and bliss. Hang the plate in the bedroom facing the foot of the bed. Specific purposes have special symbols that can be found on the individual plates. You can incorporate an energy device Vastu as a design element to enrich your life.